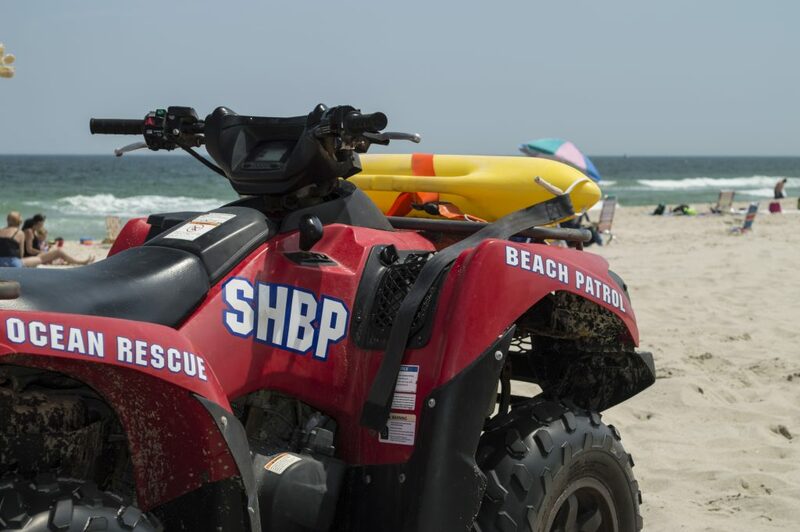 Lifeguards and beach badge checkers will be on duty until 9 p.m. this summer on Saturdays, Sunday and holidays under an ordinance approved by the Seaside Heights borough council this week. The same ordinance clarifies the borough’s smoking ban to include so-called “e-Cigarettes” and prohibits warm serving trays, pots, pans and other cooking devices from the sand. Measures in ordinance also bans bringing tables onto the beach. The ordinance prohibits coolers, barrels or tubs on the beach that exceed 24 inches in length, or have a capacity of 36 quarts. The measures are in place to cut down on rowdy beachgoers as the town transitions to a family-style resort, shaking years of hard-partying images broadcast over cable television. In addition to the rules on food preparation and coolers, the new ordinance regulates the size of tents that can be placed on the beach following complaints from beachgoers that they take up too much room at the height of the summer. “We’ve had problems with those in the last couple of seasons, in particular,” said Borough Administrator Christopher Vaz. The town will still allow baby tents that are up to 36-inches by 36-inches, and canopy tents up to 10-feet by 10-feet, but without side walls. The idea to keep guards on duty, Vaz said, is both a matter of public safety – many people swim later into the evening – as well as preventing unruly parties from breaking out on the sand. “We’re trying to get a handle on the problem of dozens and dozens of people lining up at 5 p.m. to wait for the beach attendants to go home, then carrying large coolers of beer and liquor on the beach,” said Vaz. During the week, Seaside Heights will maintain lifeguard and badge checker hours of 9 a.m. to 6 p.m.